Hair extensions are the perfect accessory to any style. Adding length, volume and dimension, they transform any hair look into a full and luscious finished product. The perfect addition to any serial hair style changer’s arsenal. Short hair today, long hair tomorrow! 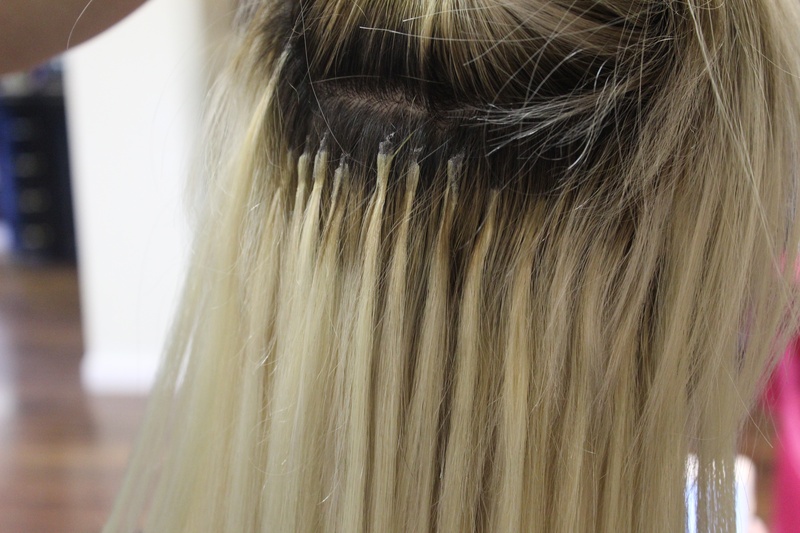 Extensions made from real hair can be custom colored, cut and styled with hot tools when properly maintained. Any synthetic hair should not be touched by heat unless by a professional. 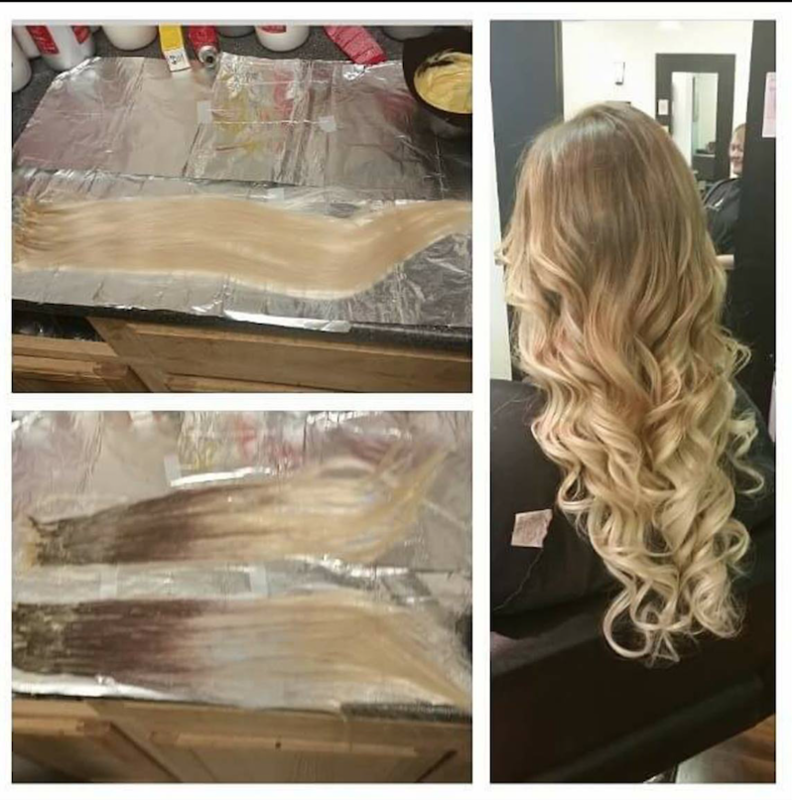 With any extensions, proper application should always be done by a professional with the exception of clip ins which can be learned from practice and done in the comfort of your own home! Below we will do a quick over-view of three different extension types: Pinned, Bonded and Clipped. Ideal only for updos when being styled professionally. 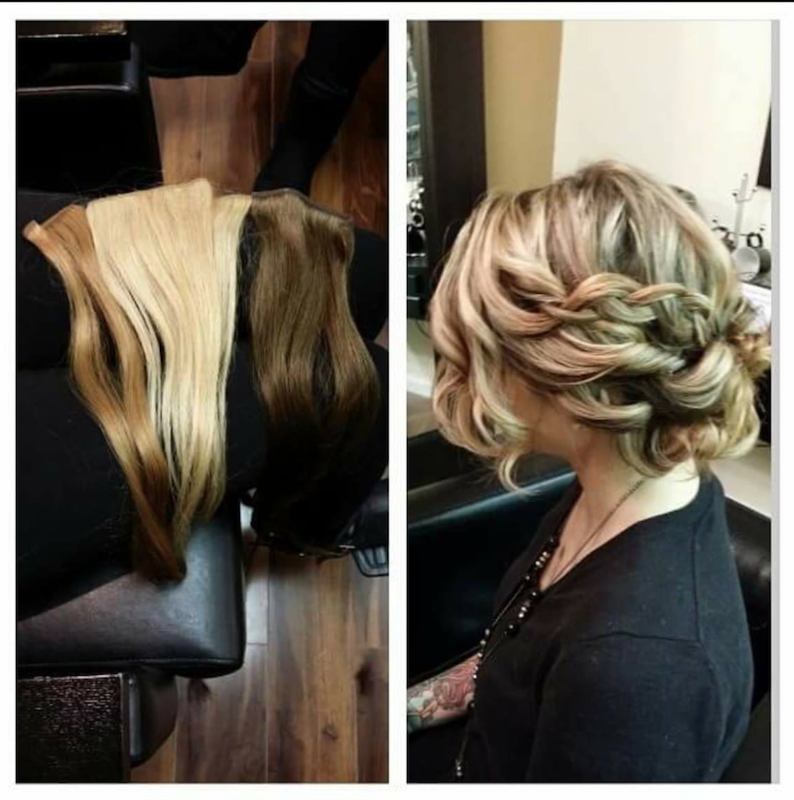 These extensions are an easy way for your artist to add fullness to any style. For all those girls who long for thick, full hair, you can experience it for a little while! Pricing ranges $100 to $125. Different from clip in and pin in, these require some commitment. Bonded extensions are a permanent extension option that look almost natural. These extenstions can last up to 6 months with proper maintenance and care. 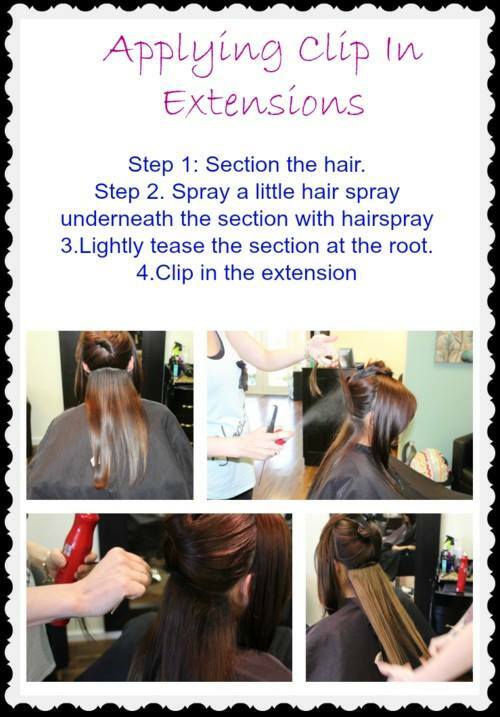 With bonded extension, you get longer, thicker hair and you can still run your fingers through it! 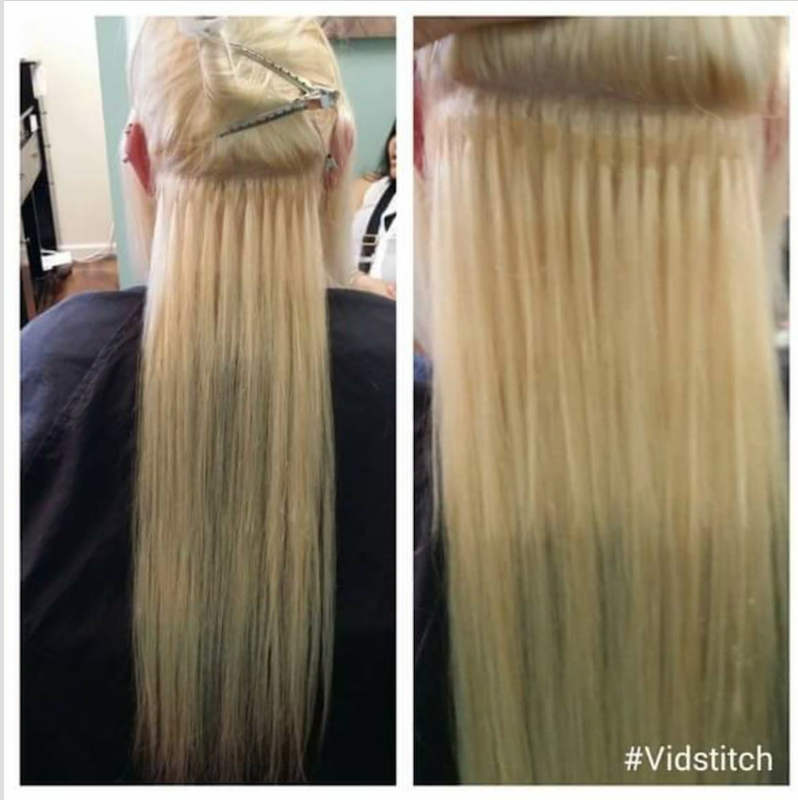 When you get tired of your extentions, you can get them removed by your stylist. These extensions leave no damage to your natural hair, so you go from fabulous to fabulous with no damage! Pricing ranges from $1,000 to $1,300. Before: Short hair in back and longer front pieces. After: Full volume and 14″ added length. Above Photos: Custom colored bonded extension to match your natural/current root and tone. These extensions are easy to put in and take out and are perfect for occasion based use. Going out on the town? Throw them in! 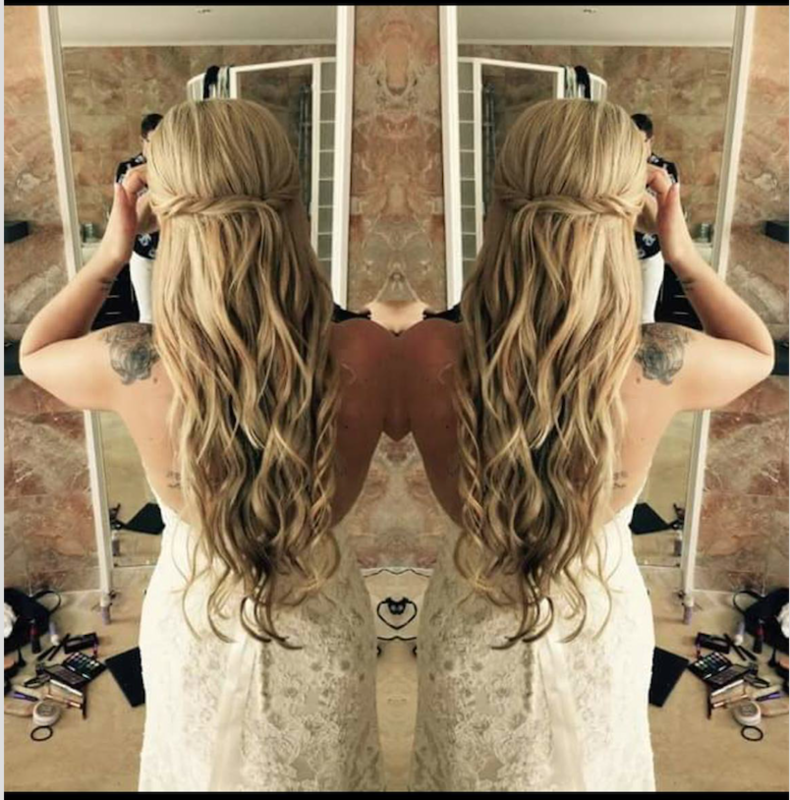 Want longer hair for your wedding style? Throw them in! Just feel like whipping your hair back and forth? You got it-Throw them in! Clip in extensions go in and come back out as easy as 1, 2, 3, 4. Clip in extensions are the ultimate tool for all those serial hair style changers I mentioned above. The chameleons among us, who scour the pages of Pinterest for new hair style options (I am with you). 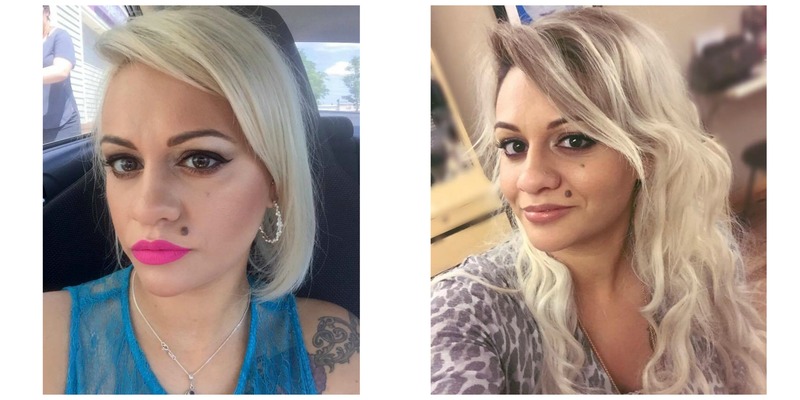 With clip in extensions, there is no style you can’t rock! Pricing ranges $175 to $250. Check out the photos below- options galore! Custom extensions added and styled into beautiful, multi-tone, styles. Bride on the right is Ashley Stone, President and Client of Hair Extension Junkie. Beauty Entourage’s exclusive extension brand. With all the options out there, you should have no problem finding the extensions that are just right for you! If you have any questions, just let us know in the comments!